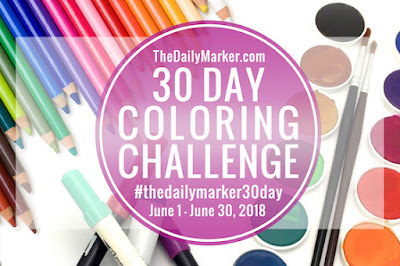 Another card for Daily Marker 30 Day Coloring Challenge! Today we are colouring Altenew`s Extra Special. 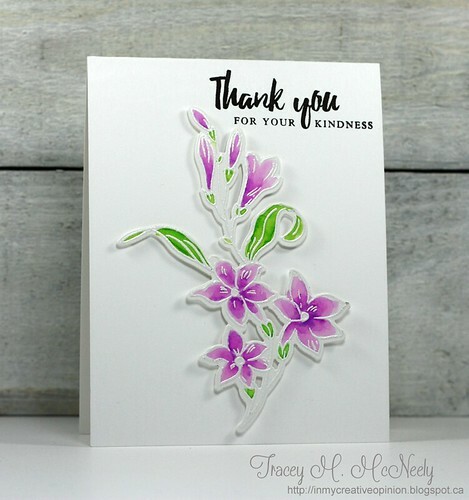 The floral spray is white embossed on Bristol Smooth cardstock and die cut with the Extra Special Die Set I watercoloured it with ZIG Clean Color Real Brush Markers. Sooooooo beautiful! LOVING the colors!!!!!!!!!!! oh this is pretty. 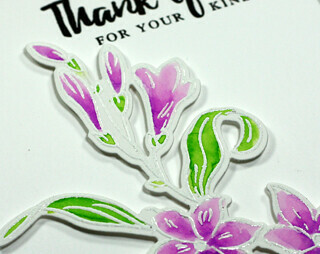 there is something so lovely about white embossing and zig coloring.